Burschl: Burschl is a relatively new established climbing garden with all together 18 well bolted routes. It is particularly recommended for beginners and children who want to make their first experience on rock. The routes are graded between 3 and 6. Starkenbach: Starkenbach is one of the biggest climbing gardens in the Tirolean Oberland. More than 300 routes between 3 and 8 on the grading scale guarantee a great day on rock for both beginners and experts. There are slabs, overhangs, cracks, chimneys and steep walls. The climbing garden faces South for which reason you can also climb there on sunny winter days. Steinseehütte/ Schneekarlesspitze climbing garden South: There are two climbing gardens on the Southern Schneekarlesspitze mountain peak. 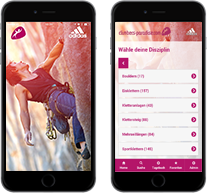 The Schneekarle Süd 1 climbing garden is perfect for experienced climbers. It offers diverse routes graded between 2 and 8. Most of the routes are in the fourth difficulty grade. The Schneekarle Süd 2 climbing garden provides beautiful slab climbing around 6 and 7 on the grading scale. Steinseehütte/ Schneekarlesspitze climbing garden West: There are also two climbing gardens on the Western Schneekarlesspitze mountain peak. They are well secured and recommended for beginners as the routes are in between 2 and 3 on the grading scale. Steinseehütte/ Steinkarpfeiler climbing garden: The Steinkarpfeiler climbing garden close to the Steinseehütte Hut provides four routes graded between 5 and 6. The type of climbing is slab climbing. The wall is about 70m high. Definitely a mental challenge!